Five female mystery authors who can put a smile on your face. • Georgette Heyer. Most critics declare that Heyer's romances are superior to her mysteries (perhaps because the latter were written with her husband), but her mysteries have much fun and ingenuity to offer. Winners include Behold, Here's Poison; Envious Casca (dubbed by Dean James as "the house party from hell"); The Unfinished Clue; and Why Shoot a Butler?. However, I found the solution to A Blunt Instrument to be unconvincing. • Constance and Gwenyth Little. A headless nurse in The Black Stocking. 'Nuff said. • Charlotte MacLeod. When Sarah Kelling and Max Bittersohn showed up in Chinese disguise in The Family Vault and Professor Peter Shandy covered every inch of his house in tacky Christmas decorations to revenge himself on college colleagues in Rest You Merry, I realized I was in a different universe—and a very funny one. Ransom Center on papers of Nicholas Ray. In the fall 2011 issue of Ransom Edition UT-Austin's Harry Ransom Center discusses its acquisition of the papers of director Nicholas Ray, including mention of They Live by Night (1949) and In a Lonely Place (1950). It appears that the papers will be ready for access sometime this fall (more on the acquisition here). Frederick Knott, playwright of the Edgar-winning Dial M for Murder (1952; two films and four TV productions; soon to be staged in Utah), the Edgar-winning Write Me a Murder (1961; Broadway production with Denholm Elliot and Kim Hunter), and Wait until Dark (1966), was born today in China in 1916. He died in 2002. 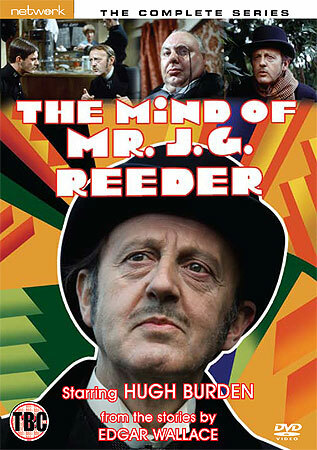 NEH's Edsitement: Not much mystery. The National Endowment for the Humanities' Edsitement offers K–12 lesson plans in literature, but I wish the site had beefier mystery-related content (at minimum, including some plans on teaching Alcott's thrillers, Conan Doyle, Christie, Hammett, and Chandler, not to mention black writers Rudolph Fisher and Chester Himes. How about something on teaching Theodore Dreiser's An American Tragedy?). The only somewhat related plans I can find are on Hemingway's Nick Adams and two lesson plans on Poe. Although Faulkner is included, there is nothing on his mystery-related work (such as Intruder in the Dust, "A Rose for Emily," and his Gavin Stevens stories). The spring 2011 Wisconsin Magazine of History has an article by Michael Edmonds on "The Federal Writers Project in Wisconsin 1935–42" that details the often rocky course of the project in the state, including a brush with HUAC and the various travel, folklore, and other publications produced. It extensively quotes Harold Miner (1910–80), who worked for the project in Madison. This is Harry Miner, who served with the OSS and inspected Hitler's bunker after the latter's suicide; he also wrote "Corpus Delicti" (EQMM Nov. 1951, part of EQMM's "Department of First Stories"; deals with postwar Germany) and "Due Process" (EQMM Nov. 1954; repr. Ellery Queen's Awards, 9th ser., 1956). Five female mystery authors who left us too soon. • Dorothy Bowers. This Oxford graduate and Detection Club member penned five mystery novels featuring Chief Inspector Dan Pardoe (Postscript to Poison, Shadows Before, Deed without a Name, Fear and Miss Betony [called the best mystery of 1941 by the Times], and Bells of Old Bailey). 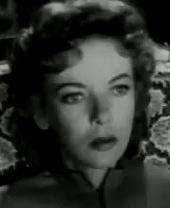 In 1948 Bowers died of tuberculosis at age 46. • Sarah Caudwell. When she died of cancer in 2000 at age 60, this former barrister and Anthony winner left behind a slim but witty oeuvre for fans devoted to the legal cohorts of the gender-neutral professor Hilary Tamar (Thus Was Adonis Murdered, The Shortest Way to Hades, The Sirens Sang of Murder, The Sibyl in Her Grave, "Rosemary and Rumor" in Malice Domestic 6). Steven Heyman of Chicago-Kent Law School related in Mystery Scene how he used Caudwell's work in his law courses. She was a member of a colorfully leftist family (her father was Evelyn Waugh cousin Claud Cockburn, and her nieces include actress Olivia Wilde and journalist Laura Flanders). • Kate Ross. 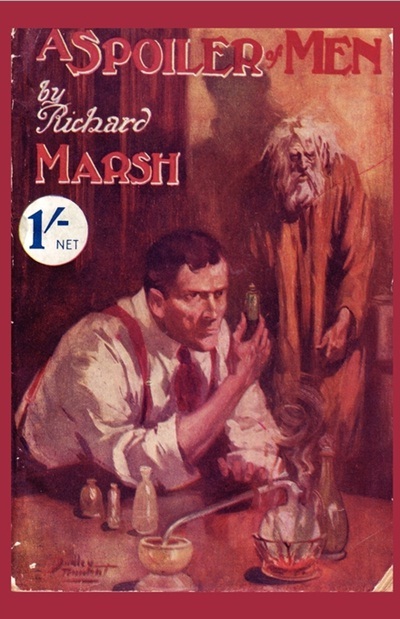 This lawyer by day, author by night published four novels and two short stories with Regency-era dandy Julian Kestrel (Cut to the Quick, A Broken Vessel, Whom the Gods Love, the Agatha-winning Devil in Music, "The Lullaby Cheat" in Crime through Time, and "The Unkindest Cut" in Past Poisons). Judges complained about Ross's legal briefs because of her skill as a writer—they were "too interesting." Ross died of cancer in 1998 at age 41. • Rebecca Rothenberg. This Agatha and Anthony nominee for The Bulrush Murders was a musician and epidemiologist, in addition to writing her series featuring microbiologist Claire Sharples (other books in the series include The Dandelion Murders, The Shy Tulip Murders, and The Tumbleweed Murders—the latter finished by Taffy Cannon). 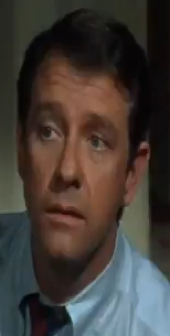 Rothenberg died in 1998 of a brain tumor at age 50. • Barbara Burnett Smith. This Agatha nominee for Writers of the Purple Sage and Sisters in Crime past president followed her first novel with aspiring writer Jolie Wyatt with four others: Dust Devils of the Purple Sage, Celebration in Purple Sage, Mistletoe in Purple Sage, and Skeletons in Purple Sage. She also wrote the standalone Mauve & Murder and Bead on Trouble, which featured a sleuthing jewelry designer. She died in 2005 after she was hit by a car in San Antonio; she was 57. The deep waters of the spy network The Pond. On the site I Found It in the National Archives, Associated Press reporters Randy Herschaft and Cristian Salazar discuss their work in the archives to shed light on the activities of the US military intelligence network The Pond, rivals of Wild Bill Donovan's OSS. Go here for another piece by Herschaft and Salazar on The Pond and here for a piece on The Pond by Mark Stout on the CIA Web site. Carmela Ciuraru's short piece on noms de plume in the Literarian discusses Patricia Highsmith's pseudonym of Carol Morgan and Alice Sheldon's alter ego—sci-fi's James Tiptree Jr.
FaberFinds has reissued Patrick Hamilton's Twopence Coloured (1928), an indictment of the world of the theater. In mysterydom Hamilton (1904–62) is best known for his plays Rope (1929; filmed by Alfred Hitchcock, 1948) and Gaslight (1939, aka Angel Street; films 1940, 1944, 1947, and several TV adaptations), as well as the novel Hangover Square (1941; filmed by John Brahm, 1945). The TV series The Charmer, with Nigel Havers as con artist Ralph Gorse, was based on Hamilton's Mr. Stimpson and Mr. Gorse (1953). Otto Penzler expounds on zombies ("They don't dress well") and his upcoming zombie collection on BBC Radio 4's August 14 Americana program. The Nero Wolfe book that wasn't. The Wolfe Pack took a July jaunt to the Rex Stout Papers at Boston College and returned with scans of some interesting items such as a fan letter from P. G. Wodehouse and Stiff Upper Lipstick, the Nero Wolfe book that never existed yet had a summary and cover art—because some at Viking did not understand that it was a joke. Lucy Sussex on 19C female writers and detectives. Among the most popular posts on this blog are those dealing with early female detectives and women mystery writers. Lucy Sussex's Women Writers and Detectives in Nineteenth-Century Crime Fiction: The Mothers of the Mystery Genre (2010; foreword by Val McDermid) is a solid discussion of women's major contributions to the emerging genre. Sussex has done much to shed new light on often neglected female writers in the genre (most notably Irish-born Mary Helena Fortune), and she published an article in Clues 26.1 (2007) on Edward Bulwer Lytton's contributions to the mystery field that garnered praise from the Hon. Henry Lytton Cobbold (Bulwer Lytton's great-grandson). Both Fortune's and Bulwer Lytton's roles are well reflected in the book. Sussex traces the cross-currents among the gothic, the Newgate novel, newspaper crime accounts, and the sensation genre that were integral to the establishment of detective fiction. Writers covered include Catherine Crowe, Ellen Davitt, Anna Katharine Green, Ann Radcliffe, Harriet Prescott Spofford, and Fanny Trollope. There is some impressive literary sleuthing on Metta Fuller Victor (author of The Dead Letter, 1866) that significantly expands on my article in the Fall 2003 Mystery Scene ("Metta Fuller Victor: A Sensational Life"). Intriguing parallels are drawn between the work of Ellen Wood (East Lynne, etc.) and Agatha Christie as well as the surprising but plausible assertion that Mary Elizabeth Braddon created the first clerical sleuth ("George Caulfield's Journey," 1879). Readers also will like the timeline in the back of the book that traces true-crime milestones alongside ones in fiction (such as the first Newgate Calendar in 1728, the 1833 birth of Pinkerton agent Kate Warne, and the 1859 publication of Spofford's "In a Cellar"). All in all, this is an excellent resource for those who would like to learn more about women's contributions to the emerging mystery genre in the nineteenth century. On the trail of Sherlock Holmes in Switzerland. 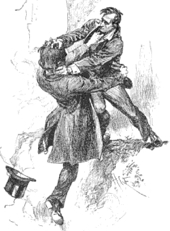 On Fine Books and Collections Catherine Batac Walder traces the presence of Sherlock Holmes in Switzerland, including his fateful encounter with Professor Moriarty at Reichenbach Falls, and cites (quite rightly) Teller of Tales' Daniel Stashower. William Cole's "Waiting for Rusty" (1939) on Selected Shorts. The radio program Selected Shorts features William Cole's Black Mask story "Waiting for Rusty" (1939; repr. 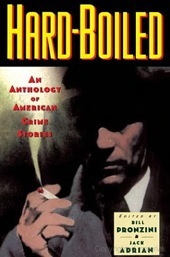 Hard-Boiled, ed. Bill Pronzini and Jack Adrian, New York: Oxford UP, 1995), read by Ted Marcoux. TV legend William Link on From the Bookshelf. Gary Shapiro's From the Bookshelf offers an encore presentation of an interview with William Link, who, with Richard Levinson, created Columbo, Ellery Queen, and Mannix, and was involved with numerous other series. The most recent episode of the BBC radio program Great Lives focuses on Graham Greene, including audio clips of Greene commenting on his preoccupation with "the hunted man" and his writing schedule, as well as some discussion of mental illness within Greene's family. And check out the program for the Graham Greene Festival in September/October that seems to have a lot on Brighton Rock. 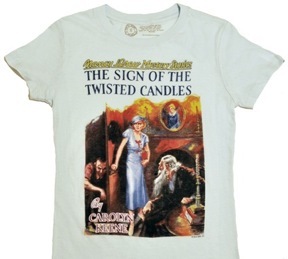 Sign of the Twisted Candles T-shirt. A T-shirt with the cover of the Nancy Drew novel The Sign of the Twisted Candles (1933), from Out of Print Clothing. Ian Fleming, James Bond, and the CIA. 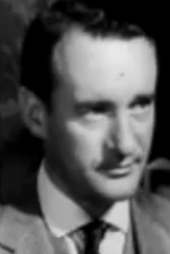 In this interesting C-Span program from June, Christopher Moran looks at the relationship between Ian Fleming and the CIA, mentioning that CIA Director Allen Dulles was a James Bond fan and befriended Fleming. This week on BBC Radio 4 Extra, Precious Ramotswe's assistant Mma Makutsi takes on a case in Alexander McCall Smith's No. 1 Ladies' Detective Agency series set in Botswana. It also continues airing the work of Edgar Wallace with The Mind of Mr. J. G. Reeder (1925)—stories of a detective well versed in the criminal mind that, in the words of the late H. R. F. Keating, "still amuse, intrigue and notably entertain" (Crime & Mystery 32). Episodes usually may be heard for up to a week after broadcast.